The fifth day of the Opel Finn Gold Cup at Balatonföldvár started promising with some nice wind on the lake, but just as the sailors were getting ready to launch, a fog bank rolled in and AP was displayed. When the fog cleared two hours later, the wind had gone and Balaton remained calm and largely windless through the morning and afternoon. Finally at 15.30 the race office pulled the pin and the sailors dispersed. 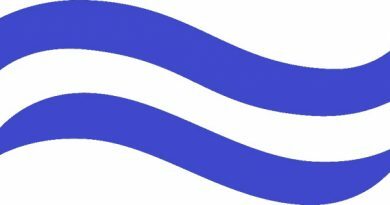 For the past decade, the Finn class has been supporting sailor’s dreams through the Finn Class Development Programme (FIDeS). The current support includes part-funding three sailors to train at the Dinghy Academy in Valencia and with some logistical support. 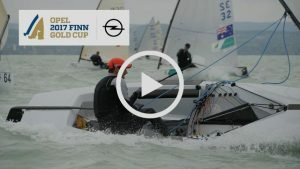 While Mcclelland is sailing in his second Finn Gold Cup, both Evans and Ahmadi are sailing their first, and are very encouraged by the experience, though hoped they would be doing better on the water. Evans moved into the Finn just over a year ago. The grandson of 1976 Finn Olympian Howard Lee, he has set his ambition to qualify and compete at the 2020 Olympic Games in the Finn. He even uses the same sail number as his grandfather. He is finding it a tough challenge. He is certainly the right size for the boat at six and a half fleet tall and weighing 103 kg, but knows he has a lot of work to do. 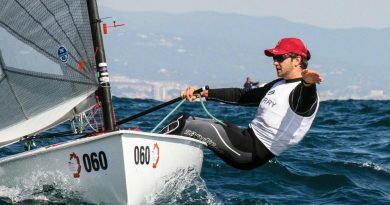 Mcclelland has spent most of the year training in Valencia at the Dinghy Academy with the new group that has formed there. After seven races he is the highest of the three sailors in 49th place out of 113 sailors. “Obviously this week has been a bit tricky for me and I not currently sitting where I’d like to be, but there has definitely been glimpses of speed and getting where I’d like to be.” A high point was leading the fleet round the first mark in the first race of the series. He says that next for him is solid winter of training in Valencia. 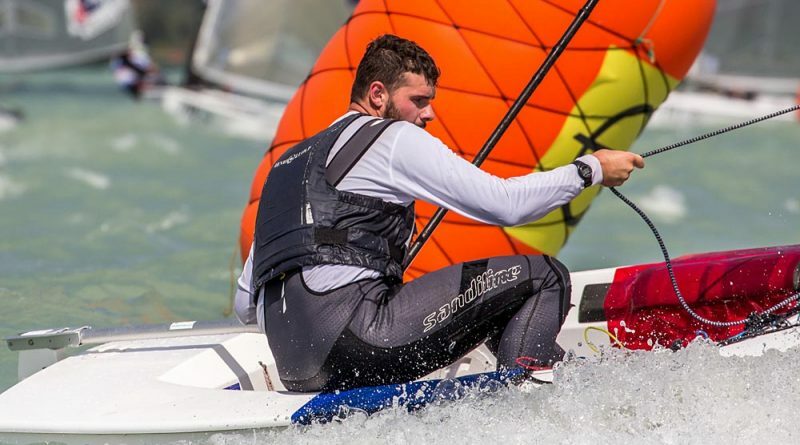 He was joined on the campaign trail this year by another Irish sailor, Fionn Lyden, who recently picked up the bronze medal at the U23 World Championship. Ahmadi is the most recent inclusion in the FIDeS programme and this Finn Gold Cup is his first major event in the class. Racing is scheduled to restart at 10.00 on Saturday. 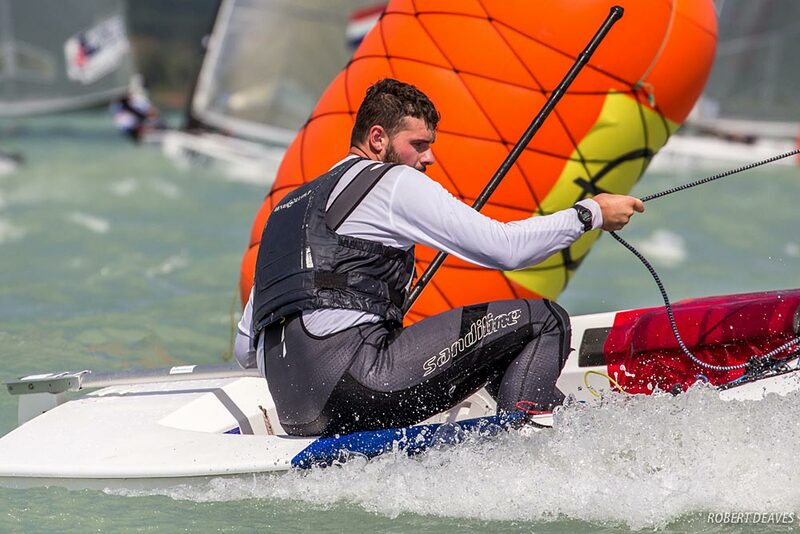 Three races are scheduled before the final race and medal race on Sunday.